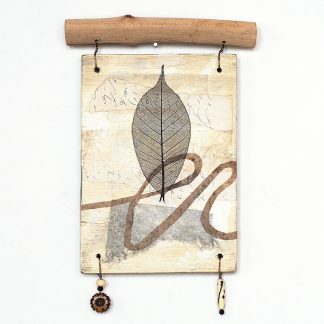 This rustic mixed media art wall hanging is constructed from reclaimed plywood, found aspen branches, wire and glass beads. Abstract motif of birds in flight in shades of green and white. Reverse side is painted as well. Total height: approximately 8.5″ (21.6 cm). 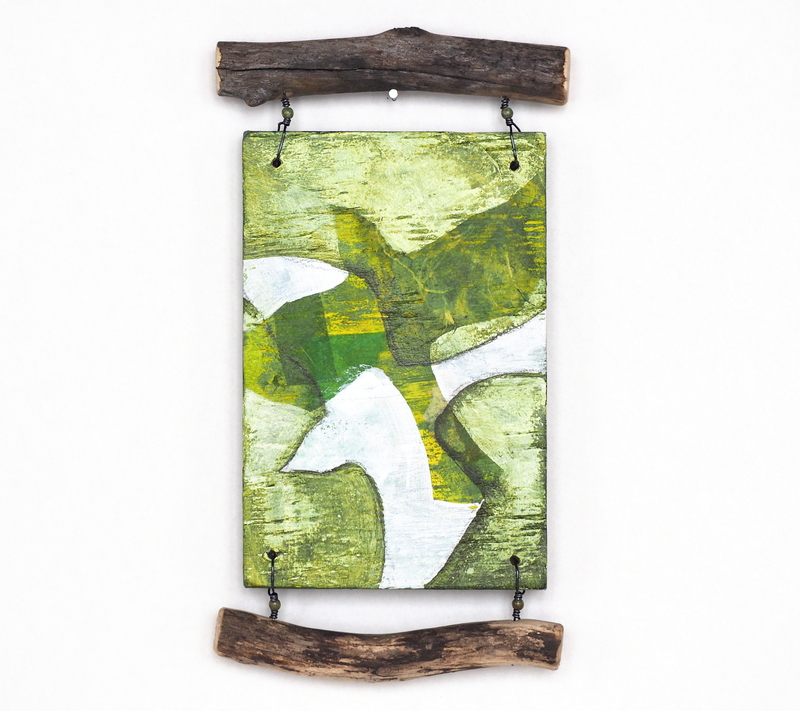 Total width: approximately 4.5″ (10.2 cm).